Commerce Minister Simon Power today welcomed the report-back by the Commerce Select Committee on legislation to establish the Financial Markets Authority (FMA) and to improve governance of KiwiSaver schemes. The Financial Markets (Regulators and KiwiSaver) Bill makes changes to the functions, duties and powers of regulatory bodies in order to restore investor confidence in New Zealand's financial markets. It establishes the FMA by consolidating the functions fragmented across the Securities Commission, and parts of the Ministry of Economic Development. The bill addresses key recommendations of the Capital Market Development Taskforce, issues raised during the global financial crisis, and the failures of a number of finance companies and concerns around the KiwiSaver regulatory environment. "I'm committed to ensuring the FMA has the right tools to keep our capital markets working for mum and dad investors," Mr Power said. "This bill gives the Financial Markets Authority the power to exercise investors' rights of action in the public interest, but ensures individuals can opt out if they wish. It also allows regulations to be made to prevent products being structured to avoid being supervised by the FMA. "I'm pleased the select committee has retained the key changes to the regulation of securities markets - the new statutory oversight regime, the new exchange rule approval process, and the FMA's ability to request rule changes and undertake real-time surveillance of market activity. "In addition, the committee has recommended changes that target low-ball unsolicited offers. One change is an enhanced warning power for the FMA so those with a history of making these offers can be made to display a prominent warning to that effect when they send documents to investors." The bill includes a regulation-making power that will enable greater regulation of unsolicited offers, including minimum-offer and cooling-off periods, disclosure of a market price, and disclosure of other relevant information. "I was considering these measures as part of the review of securities law, but agree with the committee that they should be brought forward." Mr Power welcomed the committee's recommendation to focus regulation on registered markets and to omit provisions establishing both a statutory rulings panel and a reserve power to make market integrity regulations that could have overridden the rules of registered exchanges. Such exchanges will instead be obliged to have a sufficiently independent adjudicative body in respect of their registered markets. "Further work on improving the regulatory regime for exchanges will be done as part of the review of securities law. "I would like to thank the committee for their work. A number of very helpful suggestions from submitters have been taken on board during this process." 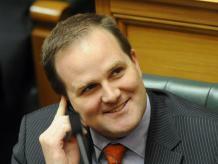 The Financial Markets (Regulators and KiwiSaver) Bill was introduced to Parliament on 14 September. Subject to the passage of the bill, the FMA will be established by May 2011. Simon Allen has been announced as the Chair and Sean Hughes as the chief executive. Further board appointments will be made in coming weeks.